Winning the lottery gives you a new beginning to a luxurious life. Splashing out on travels and luxuries makes it more pleasurable especially if you are a shopaholic. Below are a few winners who enjoyed spending…..
Vivian Nicholson from West Yorkshire, UK played the football pools in 1961. Her life was hard enough as it was, trying to make ends meet. She was in for an incredible surprise scooping £152, 319, equal to £3.5 million today. Her fame led her to become famous for her reaction toward the windfall. Reporters asked her what she was going to do with the money. Excited, she said she would spend, spend and spend. That she did and bought a ranch style home named Ponderosa, a few cars - a pink Cadillac and a silver Chevrolet. A shopping spree of cocktail dresses from Harrods, shoes, furs and lush jewellery. Not to mention that a few exotic holidays were also booked. Her inspiration of life memoirs transformed into a West End musical for what she did, Spend, Spend, Spend. Callie Rogers won a fortune of £1.9 million in the UK Lotto back in July 2003. Like many other lottery winners, she spent thousands helping out her family and friends. On winning the lotto, she quit her job. Callie went on spending sprees buying designer clothing, shoes and handbags. She bought four properties for herself and her family for a total of £550,000. She splashed out £85,000 on cars, one of which was a second hand Range Rover. She also treated her loved ones to lavish vacations. Since her lottery win, the only luxury item she has left is a second hand BMW she bought worth £15,000. Better yet, Callie feels happier working and with a family to care for. Diana De Gilio from New Zealand won the EuroMillions lottery of a whopping £2 million. She discovered she won while travelling in the UK to celebrate her 70th birthday with her friends. How would you like to remember your life changing win on your birthday? The adventurous gran admits she is an adrenalin junkie. 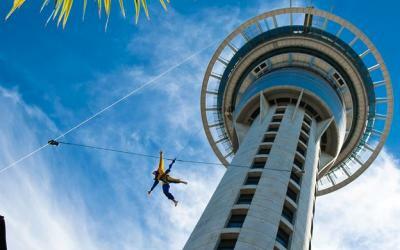 Last year, Diana did a heart-racing sky-jump 192 metres off Auckland’s Sky Tower. This year, she had the idea of walking out on the wings of a plane while in flight, a perfect way to start her 70’s. On winning the lottery, Diana de Gilio intends to visit her home country, New Zealand with her friend. She plans to help her family buy a house, a car and other financial needs her siblings may need. The retired grandmother was staying with a close friend Sandy Marsden in the UK when she found out she won. The two became friends while on a tour of China and plan a luxury trip to Bali and Lambok. The top list of countries for her to visit next is Patagonia in South America and Canada. Travelling the world is an oyster for exploring, inspiration and culture. It may not be the first time that by accident a few coins were tossed away. How about a lottery ticket? Imagine the scenario, so you bet your set of numbers, only to forget the ticket in the shopping bag. On top of that, throwing away your winning ticket in the process. This is what happened to Joanne and Joseph Zagmi. They purchased a scratch-off coupon together with some food items. Back home unloading their groceries, they left the ticket in the bag and threw it away. Out of the blue, they remembered the forgotten ticket and dug it out of the trash. Strange but true, that golden ticket was worth $1 million. As the old saying goes “one man’s trash is another man’s treasure”. So check your bags, make sure they are empty before tossing them out. Becoming a millionaire gives you the freedom to do exactly what you want, testing your commitment to solutions. 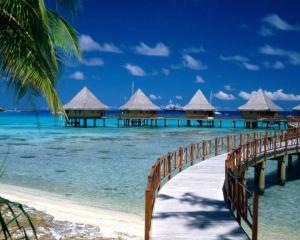 A victorious seven-figure prize is the turn of a key to live a comfortable and luxurious life.